Now over a decade since this memory was forged and 18 years after I first moved to Kent, I am now preparing to depart and return to the West Country from whence I came. It therefore seems apt at this juncture not only to reflect on the year gone by but also the evolution of my angling since I first cast a line into the Kentish Stour in 1999. Here I could fish in the way I was accustomed to fishing and caught chub and bream with sufficient regularity to convince myself that all was right with the world. My angling didn't truly start to develop until 2010 when I first joined the Canterbury and District Angling Association. 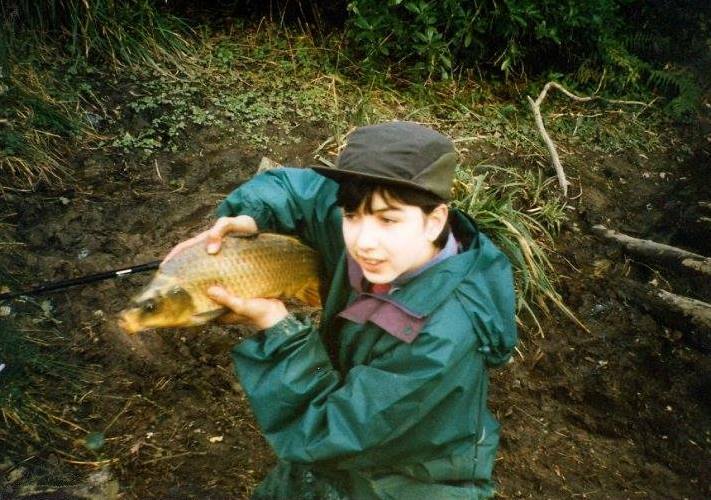 Me, aged 13, with my first margin stalked carp. I thought I was Chris Yates. I am grateful that my childhood experience of angling was a simple one. I began as a young boy throwing a jam jar on a string into the River Wylye at Henfords Marsh, catching minnows, three-spined sticklebacks and bullheads before eventually progressing to rod and line. 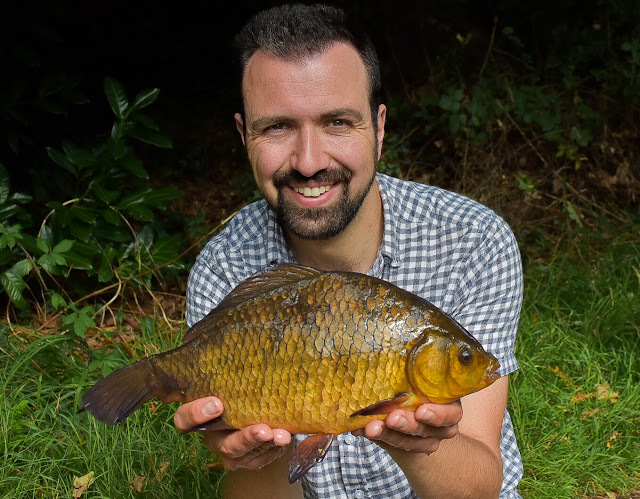 Whole summer holidays were spent mastering the art of float fishing for tiny perch and roach which later became slightly bigger specimens and a wider array of species. A Passion for Angling aired on TV at the perfect time in my formative years to truly capture my imagination. This was also the catalyst for my obsession with carp. I learnt watercraft as a course of necessity and became adept at catching within my simplistic means. At that time, Wiltshire seemed to be something of a bubble, sheltered entirely from the rising movement of modern carp fishing that was developing elsewhere - perhaps most notably, at Fordwich! There is perhaps some poetic justice in the water where HNV baits were pioneered being the place where I submitted to using them. I cannot pretend I did not buy the odd bag of Richworth Strawberry Jam (I will never forget that smell, evocative of so many memories) or Tutti Fruity boilies as a teen but I always much preferred to use natural or traditional baits and felt some sort of unsubstantiated superiority for abstaining from anything that did not conform to my purist ideals. 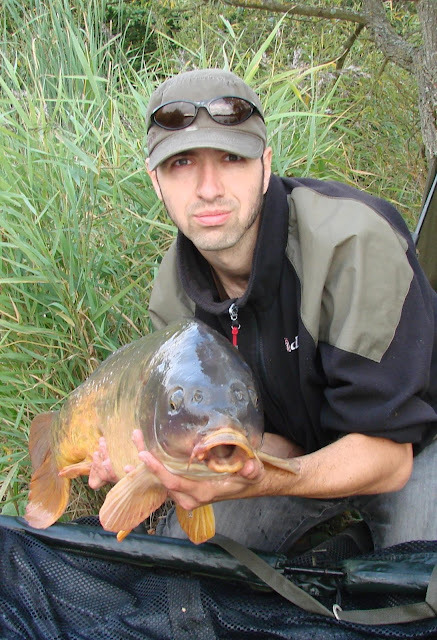 However, there came a point in my campaign for a Fordwich carp where I had to conform. The rod was the first to change and eventually I succumbed also to boilies, alarms (which previously I thought laughable), spodding, bivvies and barrows. I may have sold out on my traditional Utopia but finally I was able to compete and stand a chance of catching. However, it was very humbling to suddenly switch from a position of competence to being an absolute novice with everything to learn. However, I made learning my business and therein I found a new satisfaction. Figuring out Fordwich became something of a jigsaw puzzle and putting together the pieces one by one derived much satisfaction. Whilst I starting experiencing success at Fordwich prior to the summer of 2014, that is when the stars really aligned for me. I had by this point acquired lots of knowledge from seasons of trial and error and, particularly over the summer, I had plenty of time available to spend at the lake - not only fishing but sometimes just walking the lake, watching the water and talking to the regulars. 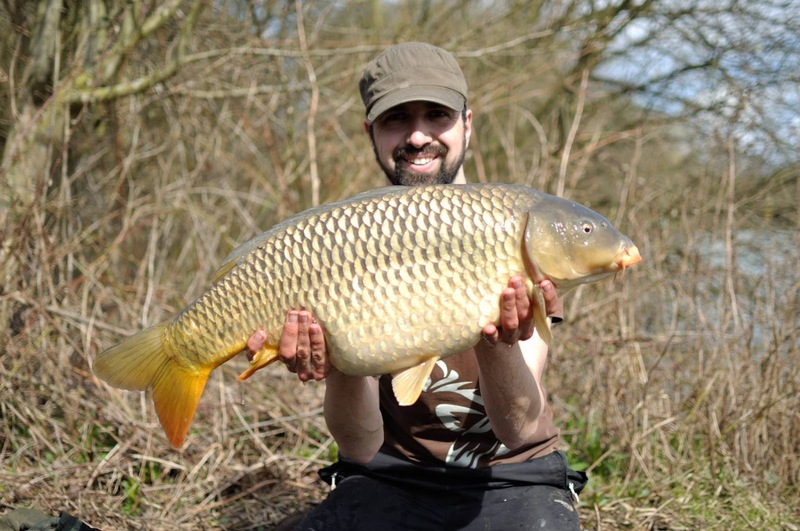 It paid off with a good string of carp to 28lb 4oz and a sense of accomplishment and elation. 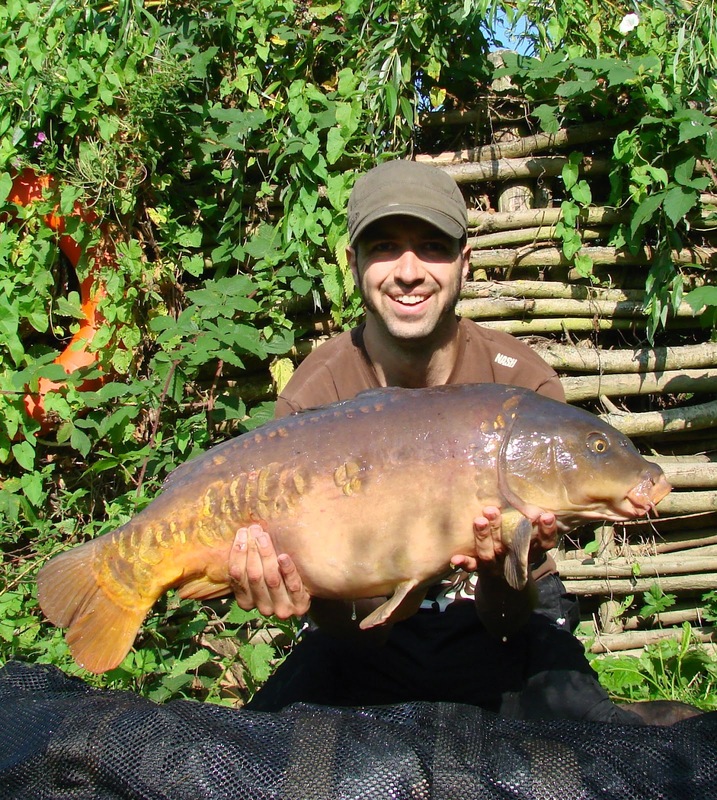 My best fish from Fordwich, 28lb 4oz. The following season felt strikingly different. The warmth and camaraderie seemed to be replaced with aggression and hostility. Perhaps I'm over-sensitive but the influx of new members, caused by another local club raising their prices, all seemed to have a sense of entitlement and I got tired very quickly of being forced to disclose when I intended to leave my swim only so that they would then sit, sometimes camp, behind me until I left. So it was time to move on. 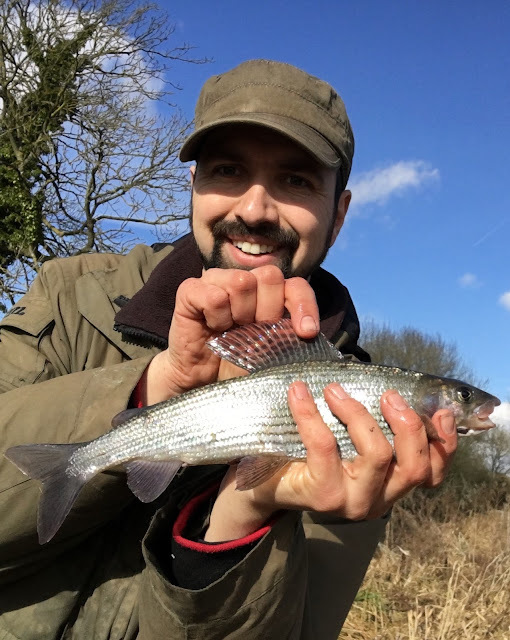 I took what I had learned at Fordwich to Mid Kent Fisheries' Handle Lake and their lesser-fished Chartham lake and found the solitude that I was no longer experiencing at Fordwich. 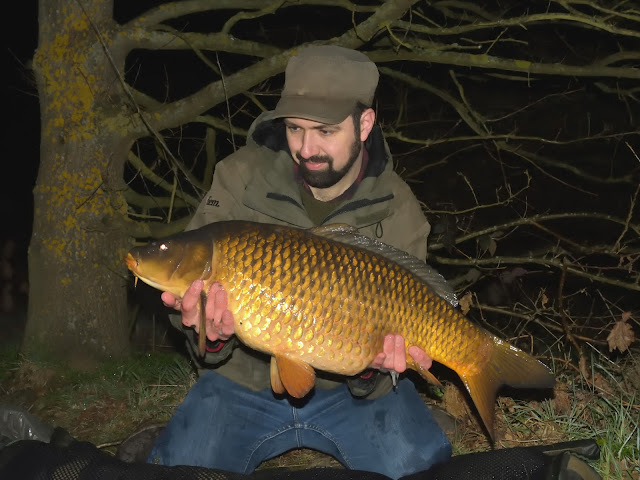 22lb Chartham Common caught on the mag' feeder! 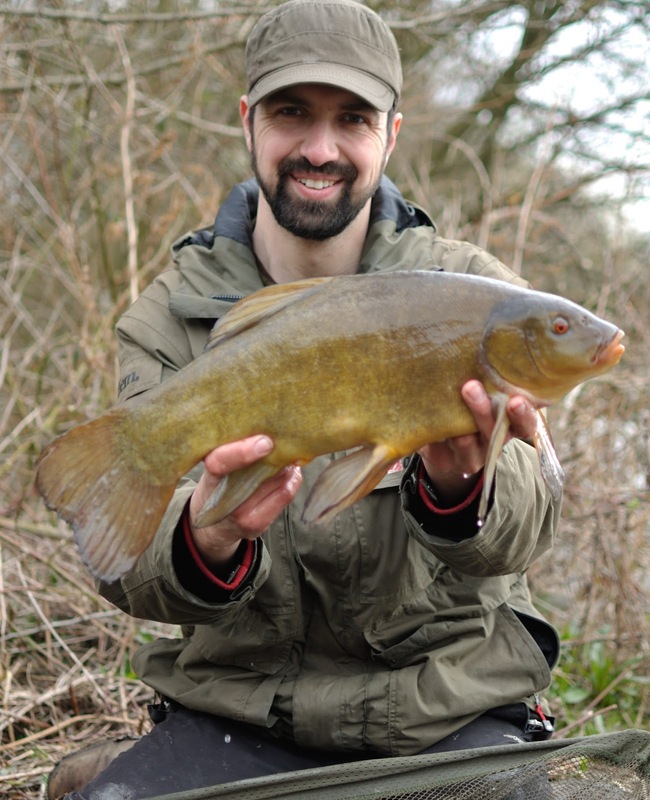 7lb male tench, the best of last season's tinca campaign. Something else I will take with me from my time in Kent is friendship. I've learned so much from the other anglers I have met along the way. Iain, the barbel master and incredible all-round specimen angler, has been quite an inspiration over the years and one of the most helpful people I have ever met on the bank. 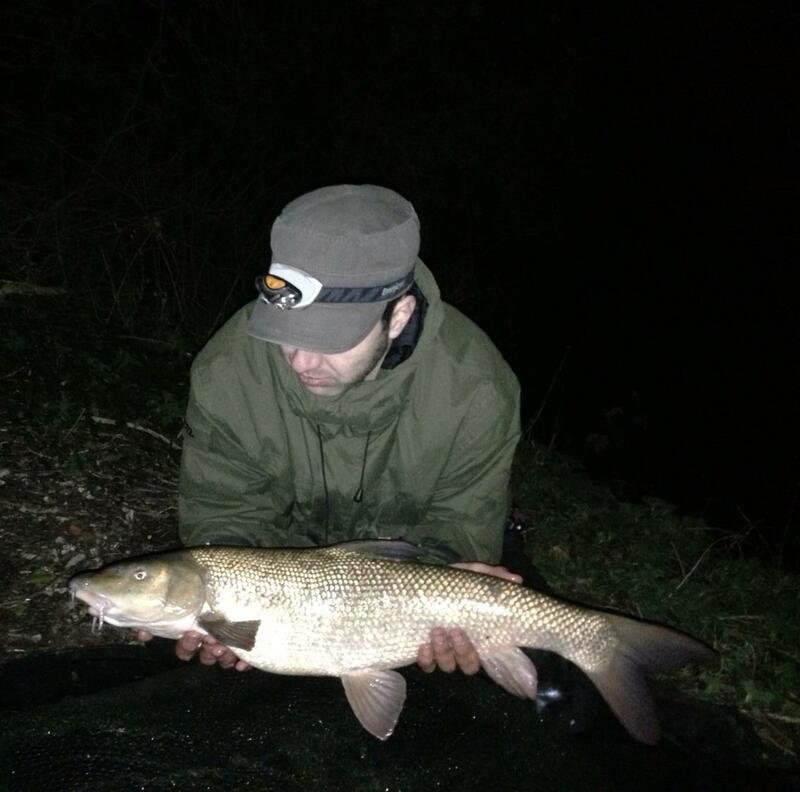 A good barbel, nudging double figures, that I would not have caught without a point in the right direction from Iain. Social trips with Shaun, Richard and Goo will always stay with me - you can't take yourself too seriously with these guys and they remind me that we engage in this pastime for fun! Left to right: Richard, Shaun and Goo all with 20lb something wels cats. Kent and I at Bury Hill last summer. Kent has become a dear friend over the last few years and a great companion for road trips up to Bury Hill. Gareth is quite a character. Endearingly eccentric. 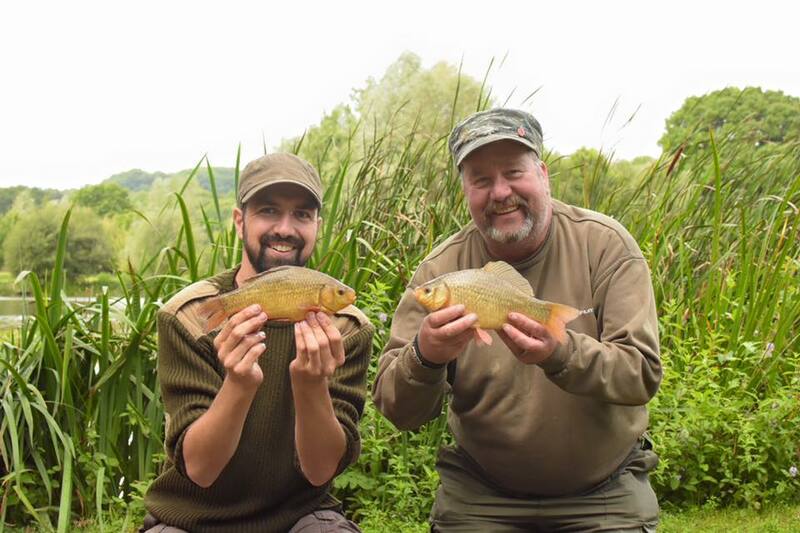 We trained to be teachers together almost 12 years ago and formed a friendship based on our shared love of angling. We both enjoy writing about our experiences in the great outdoors. I always enjoy reading Gareth's Postcards from the English Outback which truly capture the romance of the garden of England. Matthew not only befriended me but has had a significant influence on my angling and greater still, my enjoyment of angling. 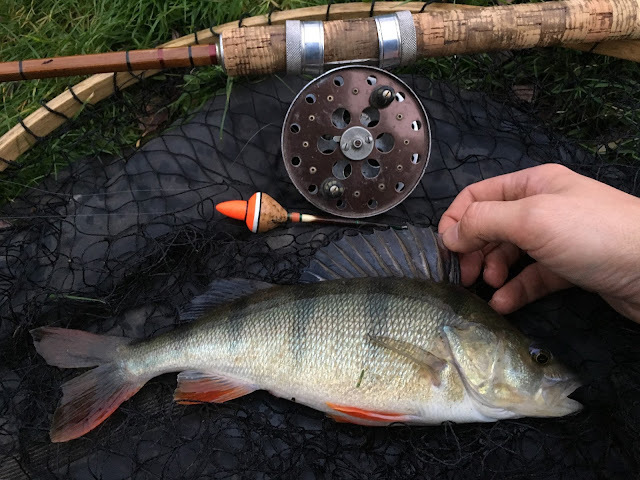 My first trip to the River Itchen with Matthew, when he was adamant I should experience the sensation of catching a lady of the river on a cane rod, made quite an impression. This was the catalyst for change. From thenceforth I gradually learned to focus less on catching fish and more on enjoying the experience of fishing. After all, work had over the years become increasingly stressful and with the birth of my daughter this March, time to angle was severely limited. My approach became more gentle, stealthy and traditional. It is almost as if, in order to receive the therapy I required, I had to unlearn everything I had learned in my time at Fordwich. 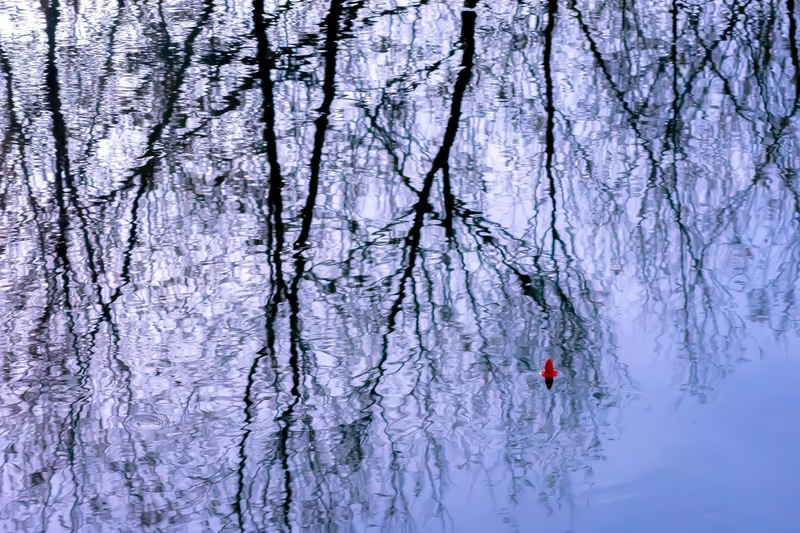 My new muse, the lady of the river. In spite of my limited time on the bank this year, 2017 has still furnished me with some significant captures. The highlight of which has to be the crucian carp I caught when I was invited back to fish at The Moat. Most of my sessions have been spent trotting on the river stour for silvers and in the autumn, dangling a lobworm beneath a bobber float. These sessions have been highly therapeutic - quite productive too and whilst nothing large was ever brought to the net, this was neither a bother or my objective. A crucian from the Moat. A 20lb 12oz Handle carp caught on my last 'proper' carp sesh before my daughter was born. 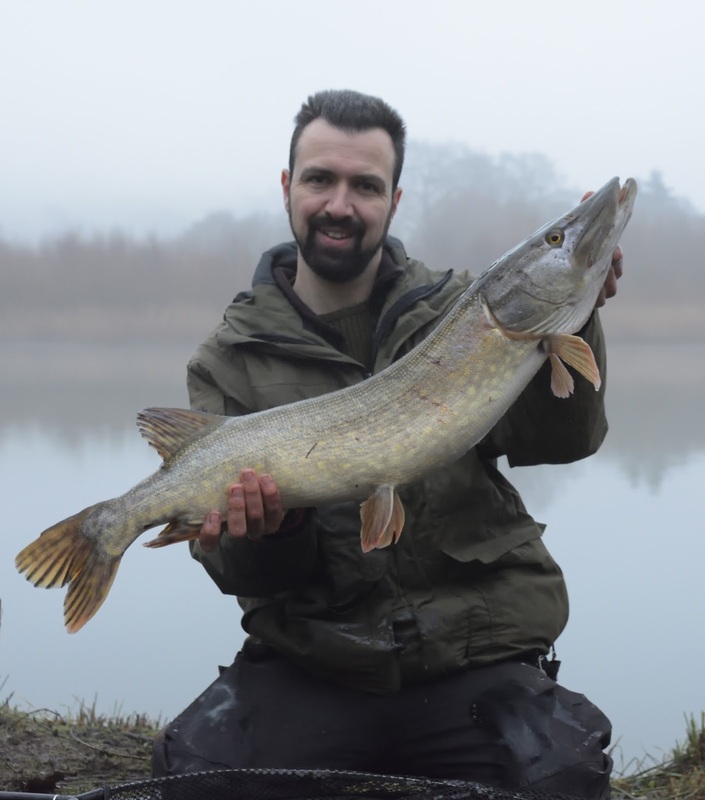 A good double figure pike from Chartham lake. 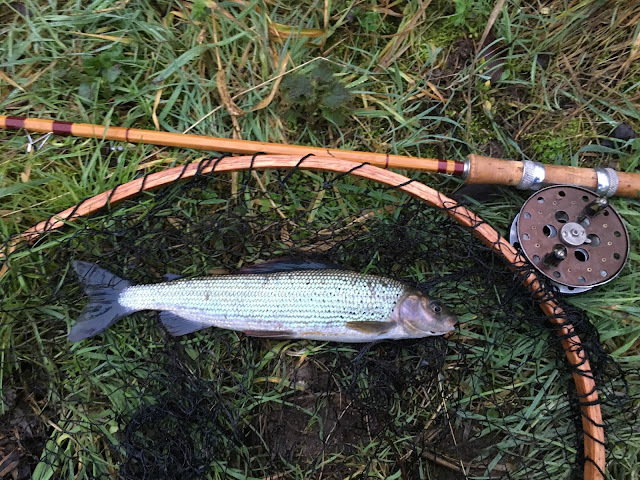 An Itchen Grayling from back in January. The staple of my weekend angling these days! So now for the recapitulation of this piscatorial sonata (sorry for the musical reference but it works quite well) as I return to the West Country to be closer to family and have the opportunity to visit some of my old haunts but now with the benefit of the experiences I have gained during my time away. I will greatly miss the Kentish waters and those I have whiled away the hours with there but every great story needs exciting new chapters and this will be no exception.